On Thursday, Venezuela’s Guri dam hydroelectric power plant was cyberattacked at 5:00 PM during the late afternoon rush hour to cause maximum disruption. Up to 80% of the country was affected, damage done more severe than initially thought. Weeks or months of planning likely preceded what happened – US behind it? considerable expertise needed to pull it off. Power is being restored “manually,” efforts continuing to learn precisely why computerized systems failed – things further complicated after a Bolivar state substation transformer exploded and burned, suggesting more sabotage. What’s happening in Venezuela is similar to infecting Iran’s Bushehr and Natanz nuclear power facilities with a Stuxnet malware computer virus in 2010, a likely joint US/Israeli intelligence operation. Edward Snowden blamed them for what happened. At the time, operations were halted indefinitely. Iran called the incident a hostile act. General Gholam-Reza Jalali said if the affected facilities went online infected, Iran’s entire electrical power grid could have been shut down. It took months to fully resolve the problem. Following the summer 2010 attack, the malware continued to infect the facilities’ centrifuges, requiring their replacement. Head of Bushehr’s nuclear power plant said only personal computers of staff were infected by the Stuxnet virus. Then-Iranian Telecommunications Minister Reza Taghipour said government systems experienced no serious damage. If malware similar to Stuxnet was used against Venezuela’s power grid, the problem could linger for months, parts of the country continued to be affected by outages for some time. Maduro’s government will need to marshal considerable technical expertise to fully resolve things – the type cybersecurity/anti-virus/security software skills Russia-based multinational firm Kaspersky Lab can provide. It can also identify the attack’s source and lay blame where it belongs – the US most likely responsible. 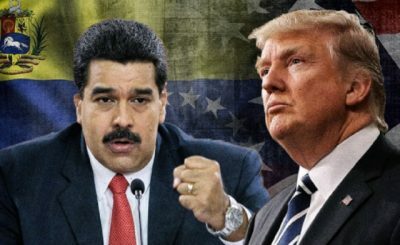 It clearly has motive, opportunity and expertise – waging war on Venezuela by other means to topple its government and gain another imperial trophy. If the malware infection is widespread, continued outages may happen until the problem is fully resolved. Resolution may take months, disruption in the country persisting, clearly the motive behind the attack.